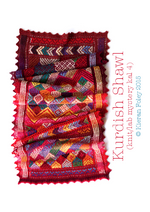 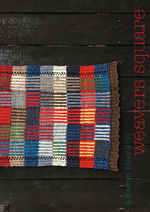 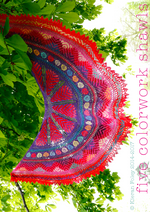 Five Colorwork Shawls is a knit/lab eBook containing five patterns originally published as mystery knit-alongs between 2014 and early 2017. 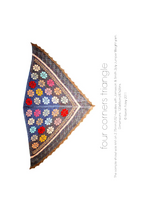 Four shawl patterns designed by me in collaboration with Renaissance Dyeing, a small family business specializing in naturally dyed yarn based in the foothills of the Pyrénées. 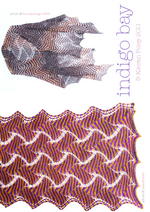 The natural dyestuffs include indigo, madder, cochineal, chestnut and woad. 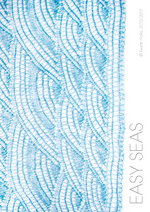 A stunning collection of six distinctive and original lace patterns inspired by the infinite variety of the sea. 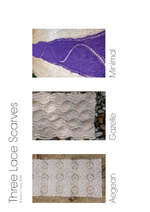 A second collection of six distinctive and original lace patterns inspired by the various surfaces of the sea . 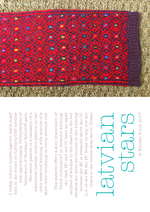 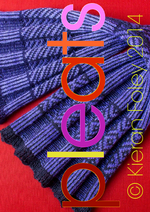 A collection of seven globetrotting knitting patterns featuring a variety of colorwork techniques. 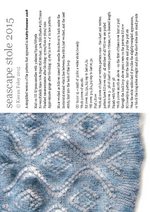 Subtle waves of elongated stitches contrast with ripples of stocking stitch in a delicate lace wrap, inspired by the clear turquoise of Iceland’s glaciers and rivers. 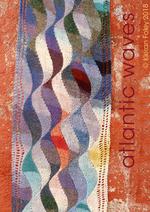 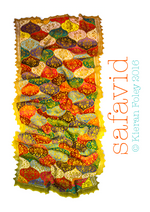 Another knit/lab special: Atlantic Waves is a beautifully flowing pattern of brightly colored waves, inspired by trips to Donegal and Connemara on Ireland’s Wild Atlantic Way. 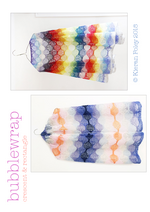 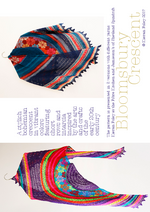 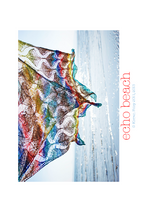 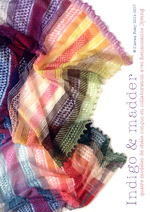 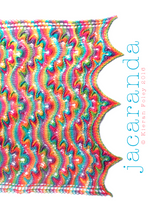 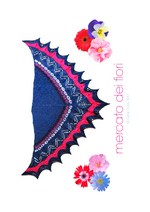 Two summery 1970’s inspired shawl patterns featuring an elongated stitch bubble pattern. 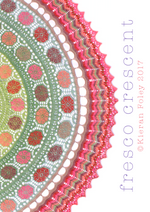 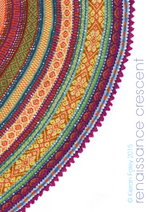 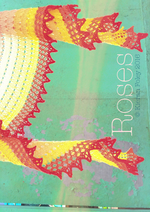 “Roses” is a light contemporary lace crescent inspired by the warm summery colors of roses. 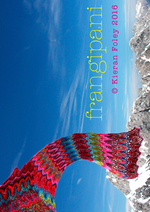 It’s an easy knit, growing from a single stitch, featuring a pointed border along the top edge and finishing with a knitted-on lace border. 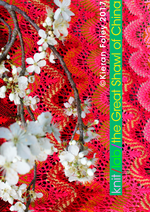 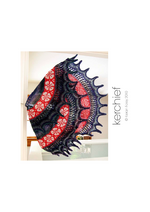 An extravagant lace shawl inspired by the wild colors of German Expressionist paintings, in particular the work of Ernst Ludwig Kirchner. 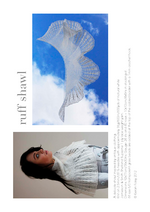 A collaboration with Nim Teasdale - a delicate lace shawl designed by Nim during her European travels based on my original MagicWaves pattern. 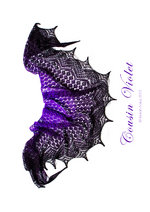 Bubbles Triangle is a contemporary lace shawl featuring a circular motif in drop stitch mesh, a variation of my original Camino Bubbles pattern. 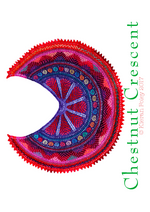 A light and airy crescent designed to make the most of one skein of Ellie and Ada sock yarn. 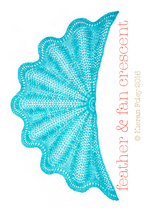 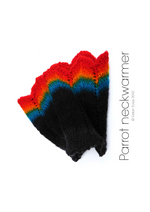 The traditional feather & fan lace pattern is tailored to gradually increase the stitch count and to create areas of plain knitting between the the tips of the feathers. 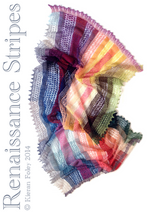 Diagonals of contrast colors traverse a repeating MC motif in a colorful rectangular shawl inspired by hand woven carpets. 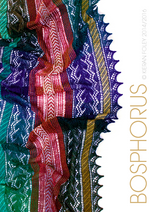 The color distribution is inspired by abrash, the natural and random changes in color that occur in antique rugs due to variations in the dyeing process and other factors. 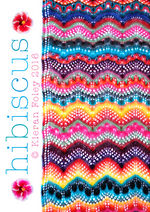 Another original knit/lab lace pattern! 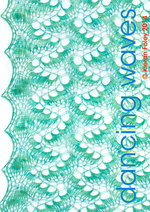 A group of charts designed for experimenting with colors in back-and-forth knitting, with techniques including stranding, intarsia, lace knitting and beading. 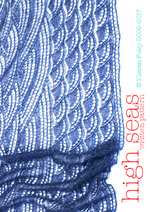 This is a new written version of High Seas, a sweeping asymmetrical parallelogram of dramatic waves. 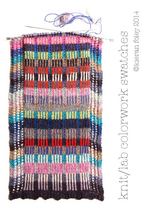 A knit/lab special! 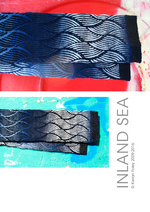 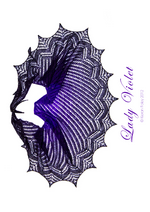 A large innovative lace pattern inspired by the rippling surface of the sea. 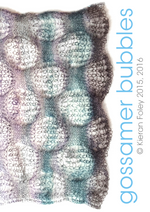 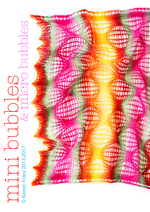 Mini Bubbles has a small circular motif in drop stitch mesh, perfect for colorful variegated yarns and easily customisable in width and length. 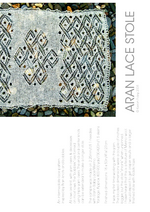 The top 2 photos were taken at Glendalough, Co. Wicklow. 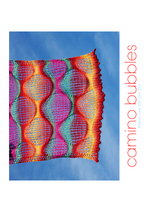 Camino Bubbles has a large circular motif in drop stitch mesh, perfect for wildly variegated yarns and easily customisable in width and length. 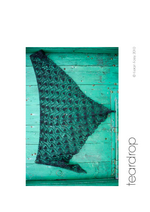 A unique modern pattern of large leaf shapes created by dropping stitches. 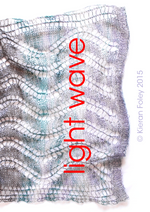 The change in gauge between the plain knit areas and the drop stitch mesh creates subtle waves in the striping. 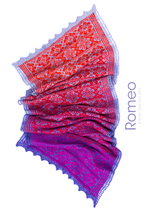 A dazzling light-weight shawl inspired by the opulent textiles and decorative details found in miniature paintings from Mughal India. 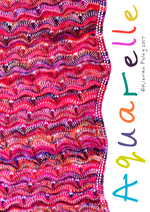 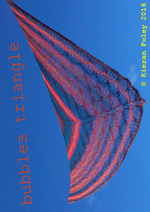 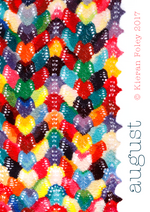 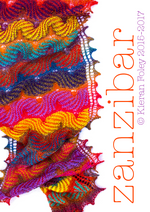 A colourful triangle combining stranded and lace knitting. 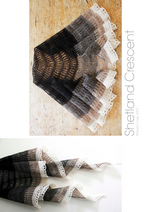 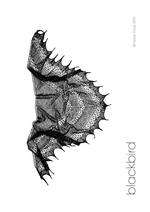 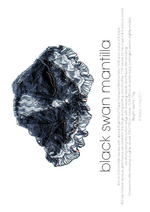 Black Swan Mantilla is a large crescent-shaped shawl with a knitted-on fringed & beaded border. 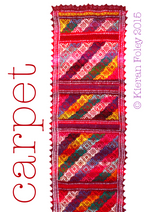 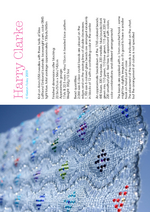 The pattern also includes a border variation without the beaded fringe. 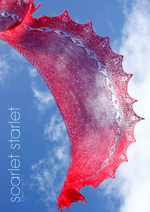 A summery shawl with shifting columns of dropped stitches - there’s some suspense involved, if you wait until the knitting is almost finished to drop the stitches. 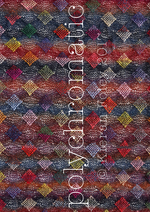 A version of Emily Dickinson knit from the top down on 3.25mm/US3 needles with approximately 20g/350m/380yds of slate grey Hobbywool linen from Latvia. 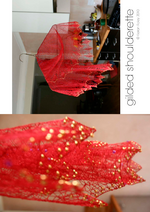 343 metallic gold glass size 8/0 Japanese beads are added using a 0.6mm crochet hook. 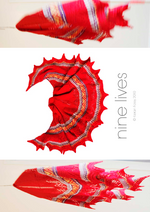 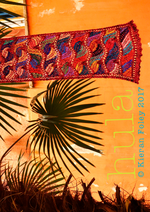 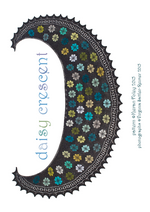 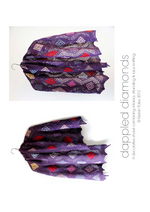 A warm crescent-shaped shawl inspired by an image of an Indian dancer on the cover of Nine Lives by William Dalrymple. 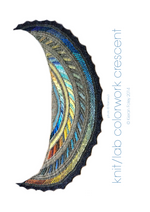 This is a top down triangle inspired by a combination of materials - the soft blue yarn and the little gold beads reminded me of the clothing imagined by Fra Angelico, Duccio and others in their Annunciations and Nativities - an accumulation of tiny gold paint dots on luminously coloured surfaces. 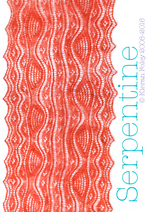 Knit top down on 2.5mm/US1.5 needles with approximately 12g/360m/400yds of Knitting Goddess semisolid red cobweb silk. 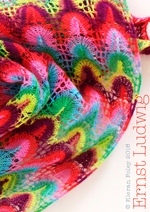 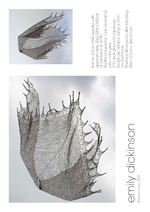 A delicate decorative lace shawl combining gossamer yarn and cables with an unusual structure. 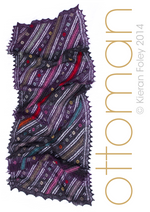 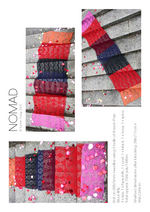 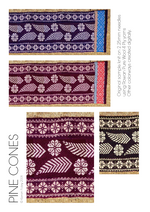 Three designs for warm stranded scarves inspired by Asian textiles. 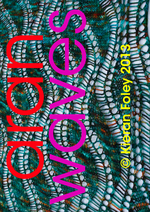 Invisible forces create rippling waves in a simple pattern of yarnovers. 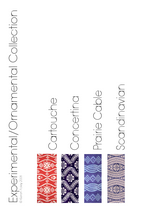 Experimental/Ornamental Collection includes Cartouche, Concertina, Prairie Cable, Scandinavian and their variations in one pdf. 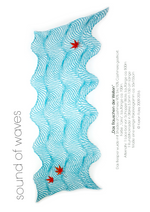 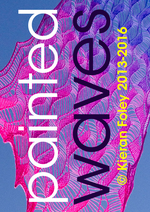 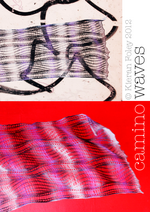 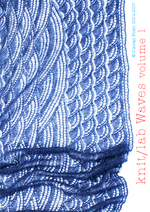 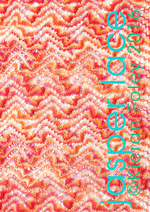 High Seas is also available as part of the knit/lab Waves volume 1 eBook. 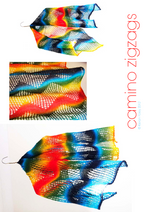 Four scarf designs inspired by the stylized waves of Japanese prints. 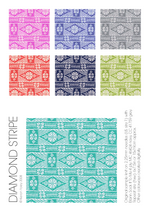 I’ve used simple color combinations in the samples to illustrate the designs as clearly as possible. 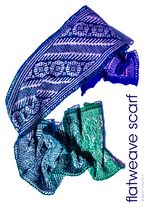 You can transform the designs with variegated or heathered yarns and/or more subtle or dramatic colors. 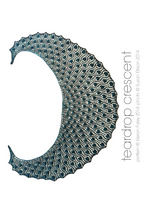 This design was specially created for the HELPSudan project. 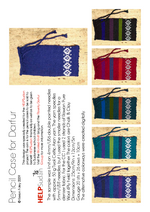 The aim is for the pencil cases to be sold to benefit HELPSudan financially as well as to be given to Sudanese school children. 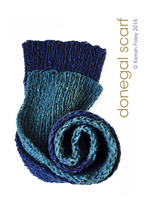 Techniques include stranded knitting, increasing and decreasing. 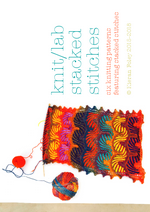 The repeat is 81 stitches across by 64 down. 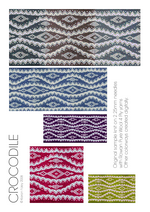 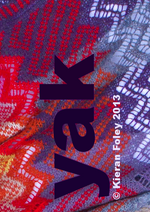 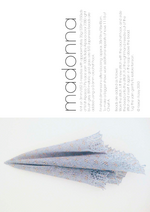 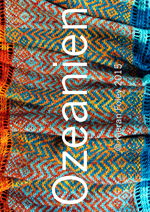 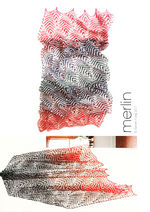 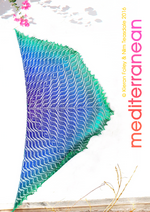 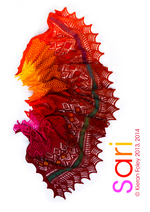 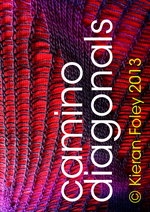 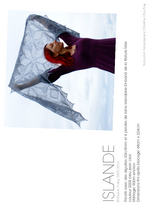 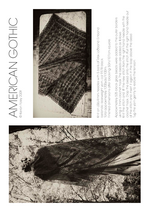 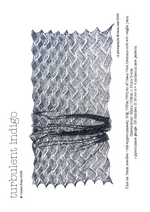 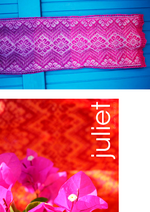 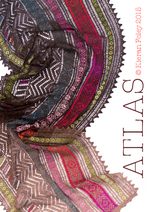 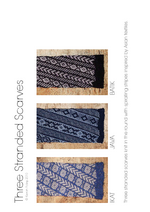 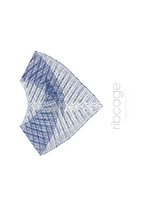 The Three Lace Scarves collection comprises Aegean, Gazelle and Minimal Lace Scarf in one pdf. 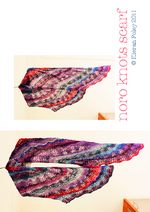 Knit in one piece, using 2 skeins of Rowan Kidsilk Haze. 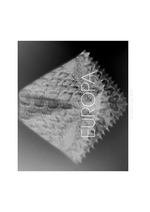 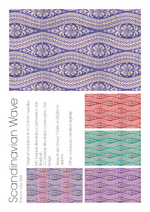 Scandinavian is also available as part of Experimental/Ornamental Collection priced at $7.00. 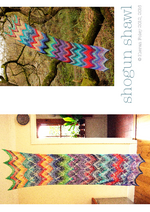 The free Ravelry download is a narrow version of Fair isle Rapids, knit-in-the-round (bottom picture). 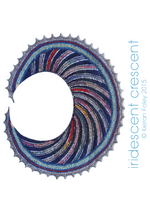 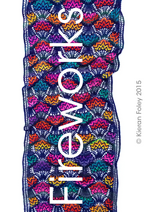 For the original wider, back-and-forth version, please go to Knitty. 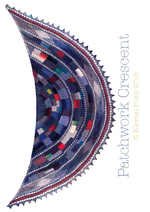 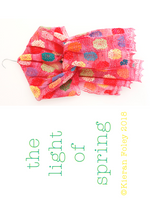 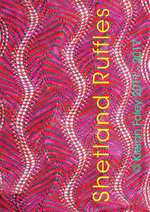 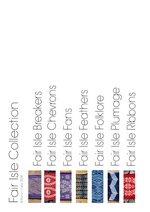 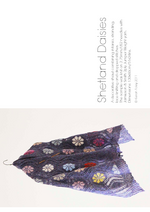 Fair Isle Collection includes Fair Isle Breakers, Fair Isle Chevrons, Fair Isle Feathers, Fair Isle Folklore, Fair Isle Plumage and Fair Isle Ribbons, plus a bonus chart - Fair Isle Fans - in one pdf.